With your help, the Robert Irvine Foundation extended its reach in 2016, impacting more lives, feeding more people, and entertaining more troops than ever before. As we push into 2017, we will continue to extend that reach. As we do, we wanted to take one last look at the impact we made in 2016. 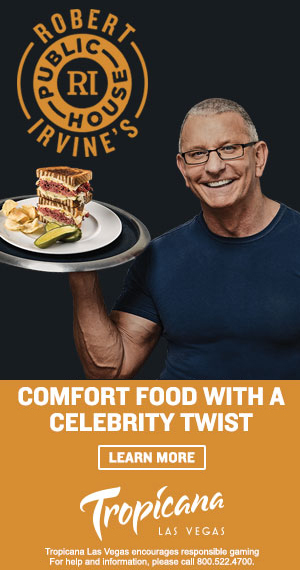 Things got rolling in February when the Robert Irvine Foundation went to Naval Medical Center San Diego to support the first of three Invincible Spirit Festivals. These massive events, organized by the Gary Sinise Foundation, are day-long rallies for troops and their families that include a concert, plenty of activities for kids, and one very big cookout that I organize with my chefs my good friends at Sysco. At this Invincible Spirit Festival—and two more just like in San Antonio, TX and Bethesda, MD—we fed a grand total of 17,000 troops and their family members. As part of these festivals, I also tour the veterans hospitals with Gary and try to meet the wounded and try to bring a smile to their faces. 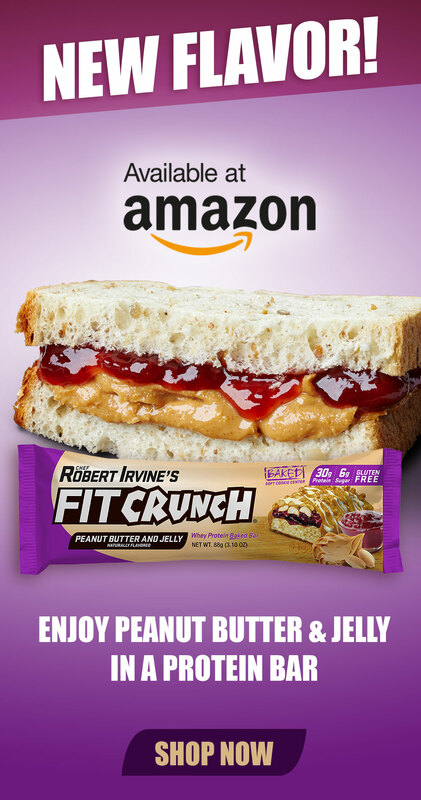 You can read the stories of some of these brave men and women in Robert Irvine Magazine. The Robert Irvine Foundation also continued its support of the USO in 2016, performing 7 RI Live shows for our troops at home and abroad. These are unscripted shows where I cook and respond to challenges from the troops, who also get onstage to participate. Since 2015, I’ve participated in six USO tours through eight foreign countries—Japan, Afghanistan, Spain, Italy, Bahrain, United Arab Emirates, Djibouti, Iraq—plus the United States, entertaining almost 9,000 troops. When I’m out on a USO tour I get to know and train with these men and women. By the end of the trip, I’ve usually been through so many pushup contests that I can’t move my arms. But visiting with the military is a two-way street; whatever entertainment or respite from their troubles the troops are able to derive, I can say that me and my team derive so much more. We leave feeling incredibly inspired by, and connected to, our nation’s very best. In October, I was proud to participate in the USO’s 75th Anniversary celebration and serve on the 75th Anniversary Honorary Committee, which was co-chaired by former Presidents Bill Clinton and George W. Bush. The committee, which comprised other key figures from the worlds of entertainment, sports, and from within the government and military, was formed to help further the USO’s mission of keeping troops connected to their families back home. I also became a board member of USO-Metro Washington, the nation’s largest chartered chapter of the USO, with a long history of service in the capital region. Immediately following the USO’s anniversary celebration, the Robert Irvine Foundation headed to the American Airlines Skyball event in Dallas, TX. Skyball is an incredibly powerful fundraising tool for our troops in need; last year the event raised $2.2 million. Three days of festivities are capped by a Tim McGraw concert; I was there with my team to cook up a feast for 8,000 troops and their families. 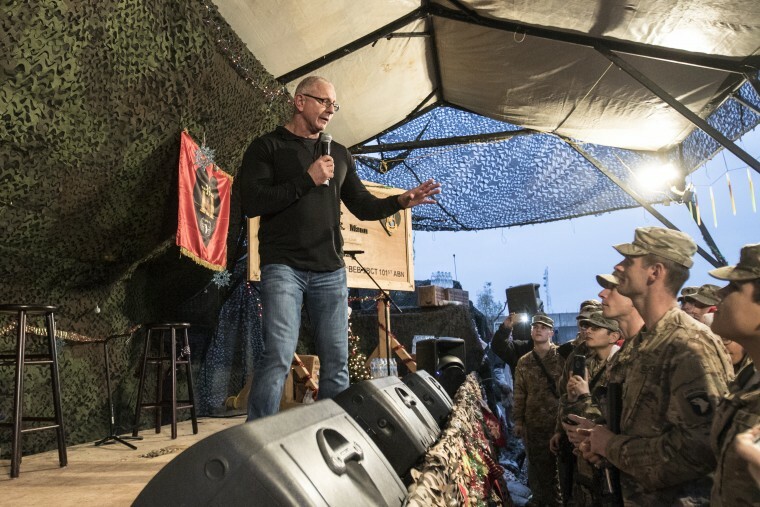 Just after Thanksgiving, the Robert Irvine Foundation took its sixth USO tour abroad, visiting Djibouti, Bahrain, and UAE. Just before Christmas, we supported an event called Snowball Express, a multi-day event that provides a huge assortment of fun-filled activities for the children of fallen troops. In support of this truly amazing event, we served up 1,500 meals. On Christmas Day, I returned to Iraq with my wife Gail to spend the holiday with the troops. In total, the Robert Irvine Foundation raised $101,812 in 2016, all of which was dispersed through the foundation’s grants programs. Grant recipients included The American Veterans Center, Gary Sinise Foundation, USO Metro Washington, Semper K9, Valor Service Dogs, Buddy Cruise, and Crossroads Corral. A detailed list of the grants issued and who these charities serve can be found here.